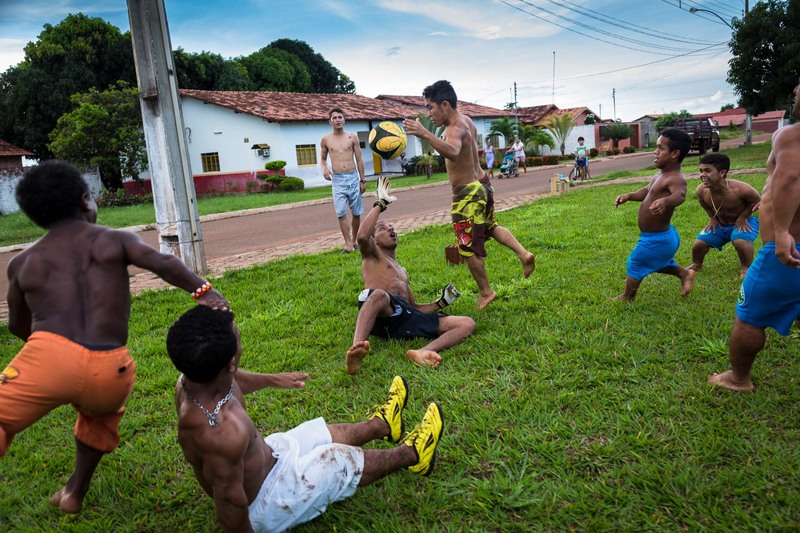 The "Giants of the North" football team improvise a game of football amongst themselves in Ponto Franco, Maranhao. The team was formed and was the brain child of Capacidade a fellow dwarf. Wherever they travel they always attract much attention and are viewed with affection and respect, Brazil.